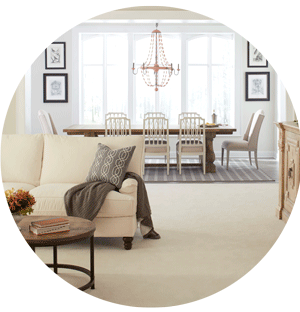 Nigohsian Carpet has the breadth of products and services to cover your home’s entire floor. 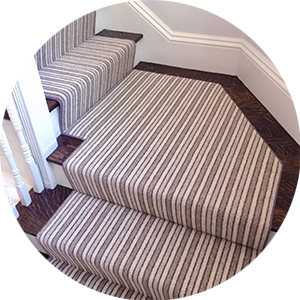 From rugs to carpets, LVT – Vinyl Plank Flooring to gym floors, come see our selection for yourself. 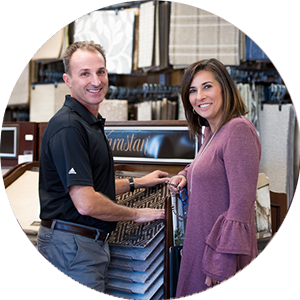 Charlene and Bill are the third generation to own Nigohsian Carpet. You can trust their deep understanding of the products and their love for interior design. Let them help you make your selection today. Our dedicated and trusted team of installers have been with our company for decades. They effortlessly manage all manner of difficult installation challenges. "I love it here! The choices are never ending and gorgeous. No pressure, just great service. Why would you go anywhere else?" Bill Fallon, owner, talking to “Meet Your Needham Merchants.” Produced by Mark Silverman of the Needham Business Association, the series highlights businesses in town that contribute to the community.